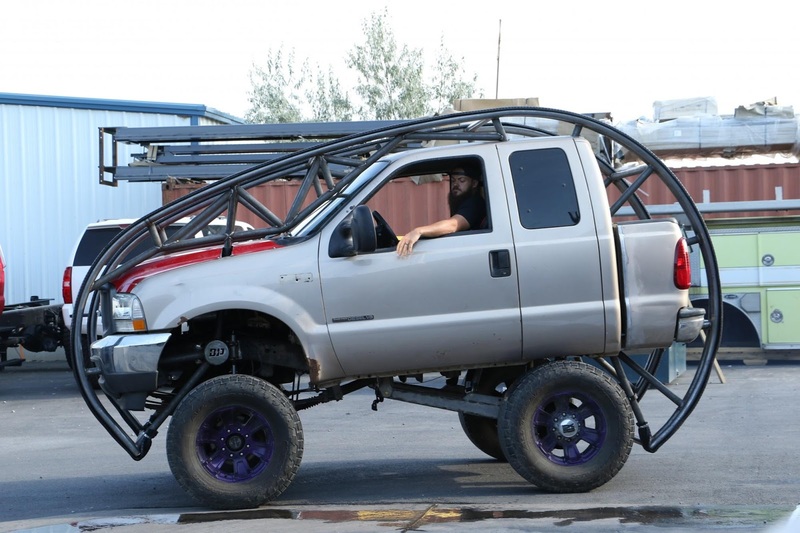 Diesel brothers showed the defiance of physics in a video posted on their website with a heavily-modified heavy duty pickup truck - looks more like an older generation Ford F150. Metal rails are mounted at the top to cushion the effect of a somersault. The riders are seen wearing helmets for protection.